Durante, Castore. 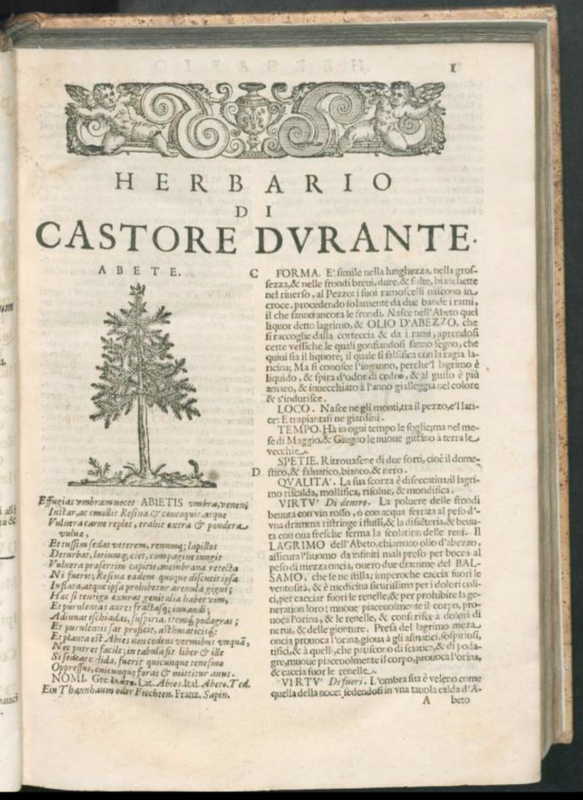 Herbario nuovo. Venice: I. Giunti, 1636. Provenance: Earl of Hopetoun. — Morris. — Richard Bennett. — Sotheby 1898, lot 288 (sold to Henry Wellcome for £2 12s.). — Henry Wellcome. — Wellcome Library (Closed stores EPB / D 1964/D). Reference: MS catalogue (2), no. 862 (with three X’s beside the title).